We all have at least a rough idea about how a SHTF scenario will unfold. Preppers with a military background who have witnessed devastation while on a tour of duty, know exactly how quickly a societal collapse can occur after a substantial change in reality happens. Understanding the various phases of a SHTF disaster and the likely time line of events that will unfold, will help us prepare far more effectively for a TEOTWAWKI disaster – enhancing our overall chances of survival substantially. Prepping for a SHTF disaster involves far more than just stockpiling “stuff” and sitting around watching and waiting for the inevitable to happen. Preparedness is a lifestyle choice, an intentional way of life that should be guided by as many facts and as much insight as possible. It is extremely easy to focus almost 100 percent on the needs and news of the moment. But, looking both ahead and back – to dissect past long-term disasters, may help eliminate the possibility of getting too bogged down in buying, or even training for a SHTF disaster and allow you to truly discover what to expect from the first crumblings of our societal foundation to nothing left but rubble stage or our new reality. There is far more than just the “before” and the “after” to consider when prepping for a SHTF scenario. The before stage of a SHTF disaster last not just mere days, but months and years before the entire world is forced to acknowledge a TEOTWAWKI is beginning to unfold. It only takes a few minutes of watching the nightly news or browsing current events online to realize just how many threats, both man-made and natural, are looming. There is no advantage to prepping for an extremely specific SHTF event – the basics of survival are all the same. If you happen to live in an area where some type of natural disaster is commonplace, by all means prep for that next wildfire or flood, but never lose sight of the bigger picture. 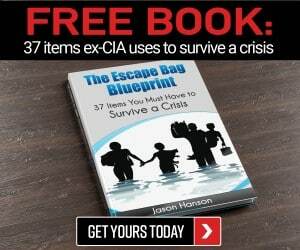 Once you have acquired all the survival basics to help you and your loved ones make it through a doomsday disaster, then it is time to focus on any added necessities to address the survival needs of potential natural disasters which your is prone too – like a boat, firefighting gear, or high-wind glass for the home. During the ongoing phase 1 of a SHTF disaster, it is essential to remain informed about what is going on in not just America, but the world at large. 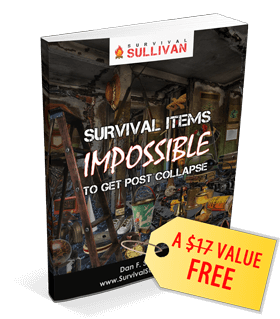 Remaining vigilant for the first signs of the second phase of SHTF disaster will give you a massive survival edge over everyone who will be left shocked into slow motion, or perhaps even submission, when disaster strikes. How quickly you will realize phase 2 has begun will depend largely upon both where you live and the nature of the SHTF disaster. If the inciting event is a natural disaster, how close you live to ground zero will determine if you lose power, no longer have any modern mode of communication, have been placed under Martial Law, or are endangered by radiation poisoning. During a large-scale man-made disaster, like a nuclear attack by North Korea or some other bad actor, a cyber-attack that takes down the power grid, or an EMP dirty bomb, the immediate impact of the SHTF incident will be swift and severe – sending tens of millions of Americans into a frenzied panic all at once. When the doomsday disaster is unfolding, it is time to either hunker down or make a rapid exit – whichever is part of your SHTF survival plan. Waiting for things to “calm down” will only make your eventual travel far more dangerous. Do not allow the masses time to fully digest what is going on and just how bad things are going to get before you bugout. The time you waste trying to decide whether or not to bugout will give violent gangs time to position themselves along roadways and to take complete control of the streets. Even in the suburbs and in rural areas, where street gangs do not currently exist, they will quickly form. The odds of you and all of your loved ones being in the same place when the SHTF are low – unless you live, work, and educate your children at home. Having a practiced communications plan and alternate routes home from routinely traveled places will significantly reduce the amount of stress that will surely surface when the stuff does finally hit the fan. A mental, physical, and emotional switch will need to be flipped in yourself and your loved ones or mutual assistant group when it becomes clear the apocalyptic event you have been preparing has now arrived and it is time to enact your survival plan. The realization that the SHTF may not be obvious to everyone, depending upon the type of disaster. In the case of a financial collapse, you have to pay attention to signs our economic system is about to hit bottom long before the talking heads on the news and the government admit such a mega disaster has occurred. By then it will be too late to stockpile precious metals and bartering materials. A power grid collapse, either by man-made or natural means, might not be as obvious as you might think – at least during the initial hours of the incident. It could be nearly impossible to determine if the power outage in your locale is wide-spread if your only means of communication with the outside world is internet, television, and cell phone service. Those three systems typically fail during a mundane power outage caused by inclement weather. Buying a HAM radio, learning how to use it, and storing it in a Faraday cage is highly recommended. The old school communications method will allow you to not only receive and share information while the SHTF scenario is being realized, but during the weeks, months, or even years, following the doomsday event. Handheld HAM radios can be stored inside a small metal container that has been lined with cardboard and carried in the backpack or purse of loved ones to enhance communication capabilities if the family is separated when life as we know it is forever altered. Store the batteries to the radio separately and also in an EMP protective container. Exactly how the general public will respond to a SHTF event will vary greatly depending upon both where you live and the type of doomsday event. The time span between the doomsday event and the public reaction will likely be slower and less severe for Americans living in rural areas – but the fallout will eventually materialize, especially when the mass exodus from cities begins about day five after the SHTF. If you live in a metropolitan area, expect to be surrounded by a large amount of people either moving about in a state of pure panic, or frozen in fear – regardless of the disaster. The public response in the suburbs will be a little more subdued due in large part to the smaller population of already destitute and violent inhabitants – but the overall reaction will still be one of disbelief and panic. In rural areas, the folks are far more self-reliant, with about 95 percent of the population legally owning guns they can use for both self-protection and to hunt for food. Do not assume simply because people live out in the country they all grow their own food and have a pond or creek to use to garner water. Small towns dot the landscape outside of the cities and suburbs – not everyone who lives in a relatively crime-free area lives on a farm! There will still be panic and a sizeable portion of the population that does not have enough food to eat, water to drink, or a way to keep warm. When society starts to break down, mob mentality can take hold no matter where you live – it will just happen less frequently and with smaller groups of marauders in the suburbs and rural areas. If the community has a viable and practice disaster response plan, the chances of a without rule of law scenario developing, at least in the early days or weeks of a SHTF disaster, are substantially mitigated. The type of SHTF event will have a monstrous impact on how the public will react. If monumental damage has been done to both the social and physical infrastructure of the United States, panic and mob behavior will be realized more quickly and likely last until met with a force powerful enough to deter and redirect such behavior. Location of the man-made or natural disaster. How close you live to ground zero of the SHTF event will impact not only how the non-prepper public reacts, but also how well your practiced survival will hold up if you are dead center or only a few miles away from where disaster struck. How self-reliant and prepared your neighbors are to withstand even a short-term doomsday disaster. Again, this is why being involved in the development of a community response plan is so important – even if you live on 50 or more secluded acres. The starving and desperate hordes will walk, hike, and take any risk necessary for food and water when their own resources have become exhausted. Waiting around for the government to help will basically ensure you do not survive a long-term disaster. Career politicians will attempt to downplay the impact of the SHTF event as long as possible. Once trying to put blinders on the public is no longer feasible, expect a heavy-handed to boot-on-the-neck approach to maintaining any semblance of public order which still exist. This is the time martial law is most likely to be declared. The prospect of FEMA camps being created will strike fear and in the hearts of patriotic preppers and sadly, be seen as a beacon of hope by the distraught sheep who never learned the value of self-reliance and are willing to trade away their constitutional rights for a fleeting sense of safety. If the SHTF disaster was not caused by an EMP or power grid down disaster, expect to see military vehicle patrolling the streets of America. Overnight Main Street USA will begin to resemble a third world country with uniformed soldiers acting as a law enforcement entity. Keeping the peace, (A.K.A. control) of large metropolitan areas, specifically Washington, D.C., New York City, and the like, will be a top priority for the power brokers on Capitol Hill. Those folks who will welcome a military presence in their communities and neighborhoods will eventually become disappointed. Our brave men and women in uniform will follow orders as long as feasible – but eventually the food, water, and fuel will run out and the soldiers will understandably want to be home protecting their loved ones. If we believed the government was going to protect us during a doomsday disaster, none of us would probably even be preppers. Only those who have prepared or have some type of military, first responder, or homesteading background will be able to react with a sound mind and have the skills necessary to keep themselves and their loved ones safe after the SHTF. The lack of control the non-preppers will instantly feel after the SHTF will mount with every passing hour. If, most likely when, the national communications systems fail, that growing sense of panic and helplessness will manifest in irrational and often times, dangerous behavior. Information will be a highly sought-after commodity. The need to know what is going on will truly have a life or death impact on your life. A willingness, perhaps even an eagerness, to believe anything a person appears to have a position of authority says about the disaster, government response to it, or how soon help will be on the way, will manifest in the minds of most of our fellow citizens. By the time the government workers show up and being setting up the tents for their FEMA camps, a long line of terrified people, who are now nothing more than cattle, will fall into lock-step and willfully march inside. Those of us who refuse the enter a FEMA camp, allow a government worker to inventory our stockpiles, refuse to turn over our guns, or defy the authority that wants to commandeer our livestock or other necessities – will be viewed as a threat, and treated accordingly. Unless World War 3 is a nuclear one and the bulk of the planet does not survive, society will eventually stabilize and begin to rebuild. How long it takes to come to terms with the new normal and get completely over the shock of the SHTF disaster will depend, once again, both on the type of disaster and your location. Only once the survivors have completely accepted their new way of life and the immediate and secondary threats subsided, will people begin to focus on how they can jump start society. The reconstruction phase will evolve from a local, county, and regional level. It is unlikely a concerted nationwide effort will be feasible due to communications and fuel issues after the doomsday disaster. SHTF survivors will begin to reference time as “before” and X number of days, weeks, or months after the disaster. The vast majority of the civil unrest and violence associated with the earlier SHTF stages will have passed. Some type of law enforcement authority will emerge during the stabilization and rebuilding phase – and could being with armed groups being “paid” to protect the community or individuals. Battles between multiple groups for control of areas to establish boundaries and rules, will precede any official policing or governing agencies being created. Communities will remain fairly isolated even during the reconstruction phase of the new society. Until communications and modern modes of transportation are restored, if such advancements are still feasible, each town or neighborhood will be completely dependent upon themselves and their own collective skills to survive. Eventually a centralized form of government could re-emerge. How well the survivors take to giving up even an inch of their freedom to a new state or national authority could once again spark intense civil unrest. Politicians who survive the doomsday disaster may try to assert their authority in new and competing ways. If the survivors believe they are doing just fine on their own, they may rebel strongly against once again being under the thumb of government representatives they may have never heard of before the SHTF. The dollar bill, if any survivors even bothered to hold onto any of them, will be useful as kindling and not much more. Bartering will once again be the common mode of commerce. Precious metals and gems, hands-on services, and necessary survival items like food, seeds, and ammunition will become the post-SHTF “money.” The wealthiest people in the new America will not be those folks with white collar jobs and advanced degrees, for the most part. 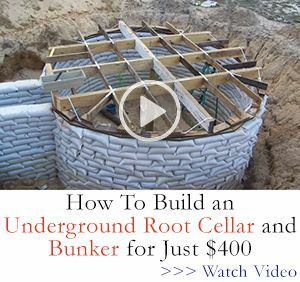 The post-SHTF millionaires will be farmers, livestock breeders, and skilled tradesmen and women who can built, fix, and perform necessary community services without the aid of modern tools and amenities. Taxes may be a thing of the past temporarily, but as communities rebuild, some type of tribute to cover the “salary” of essential services workers, makeshift hospitals, and school will ultimately be discussed, debated, and approved in most colonies of survivors. The SHTF phases may not all clearly define themselves in a traditional time line, at least not at first. There will be both significant advances and setbacks along the way. If an illness sweeps across the surviving communities, which is very likely due to the lack of sanitation and medical care which will be available during the initial SHTF stages, the stabilization and rebuilding progress could evaporate quickly. During a doomsday disaster scenario caused by either natural or man-made causes, a second wave – even weeks or months after the inciting event, could easily wreak havoc on the already stunned and barely hanging on colonies of survivors. The already crumbled infrastructure which may have offered at least some early warning to the SHTF, would no longer exist during a second wave incident – making the death toll and destruction of crops and livestock, even more severe. As history has taught us, even great societies have suddenly fallen and failed to ever again emerge. Approaching prepping from a “we’re all in this together” standpoint should help prevent the nation, and even more specifically your own community or neighborhood, from being wiped off the map forever. Where you live and work matters – a lot, to your long-term chances of survival. Folks who live in rural areas have the natural resources necessary to sustain an off the grid lifestyle from the moment the SHTF. Foraging wild edibles any time of the year in most rural regions of the United States will stave off hunger. An abundance of wood to burn for fuel for heating and cooking also exist. These plentiful natural resources will only be of a true benefit if you possess the skills necessary to use them to your advantage and the weapons that will absolutely be necessary to protect them from outsiders. There is no such thing as an “EMP dirty bomb.” To be effective, a nuclear EMP weapon has to be detonated at very high altitudes (300-400 kilometers) to achieve maximum results. To quote Wikipedia, a “dirty bomb” is a speculative radiological weapon that combines radioactive material with conventional explosives. The purpose of the weapon is to contaminate the area around the dispersal agent/conventional explosion with radioactive material, serving primarily as an area denial device against civilians. It is however not to be confused with a nuclear explosion, such as a fission bomb, which by releasing nuclear energy produces blast effects far in excess of what is achievable by the use of conventional explosives. I would suggest that you spend a bit more time in research before posting misleading and inaccurate articles. To the editor(s) of the Survival Sullivan web site: Do you people actually read the material that guest authors send to you, or do you just format it and blast it out to the web. Frankly, I expected more from you. Give the author a break! Perhaps you could write about dirty bombs and EMP bombs. Your point is a good one but you don’t have to attack the author and throw the baby out with the bathwater. The article is important if it made you think about the stages of a SHTF situation. Where is your family when the SHTF? Nice summary of the stages. A variation worth mention would be Stage 2, not as a sudden cataclysmic event (like a deliberate EMP attack) but a slow frog-boil. If things break down suddenly, there would be shock, denial, rage, etc., as you described. If things break down slowly, like they did in Venezuela, Stages 2 and 3 will unfold rather differently. The unpreppared in a Soft Stage 2 will hang onto denial a whole lot longer. People will try to adapt with the hopes that they just have to ride it out awhile and things will get better. It’ll be only after a long while of things not getting better, but worse, that Stage 3 would begin. But here again, it would be a Soft Stage 3. Instead of a sudden riot, we’d see a few people ‘get it’ sooner than the rest. The Bell Curve of reactions. A few would go rogue earlier, while the majority cling to normalcy bias. Even the government response, your Stage 4, would be different. Like in Venezuela, the government could spend it’s time focused on containing the rogues in order to maintain the illusion of control and “peace.” Also like in Venezuela, the government could spend much of its limited resources on inappropriate solutions (price controls) to the wrong problems. Consider stockpiling short wave radios, cheap, even free as people throw them out and go dugital. I have several dozen already. Great bartering items as those left will want info, the net, mobiles etc will be gone, perhaps forever, but a short wave radio will pick up international communications. Get your ham licence and know how to service and build your own gear. Simple transmitters that can reach around the world can be built from old valve type yv sets on the dump, as can regenerative recievers that can hear the world. Look up old (over 30 years anyway) ARRL handbooks for designs. Valve gear will withstand emp etc. The power supplys during ww2 were dynamotors, once again, emp and cme proof. Now is the tme to organise nets with others, pre prepared frequencies to communicate on, codes etc. There is NO exchuse for not being ready. Get out of the cities. Instead of veging in front of the box, take an internet course on pumps etc. Some of the courses are even designed by professors as public services and give recognised certificates. Look at producer gas for running generators, vehicles etc. Learn, knowledge will be the new currency.